This stunning, slick acoustic is a real pleasure to play and stands up strong against some of my favourites including the Taylor Big Baby. This guitar found at Badlands Guitars in Brighton, is just one of the many guitars found in stock in the Faith range, and with the service on offer you can’t fault the shop owners for their help and decent prices. Some of the key, notable characteristics of this guitar is the incredible sustain, sweet highs, moving lows and perfect mids which made me fall for this one fast. As a guitar that has only relatively recently emerged in the UK, it has made a good impact as a brand that offers great playability without a huge price tag. The compromises Faith make to give you an affordable guitar are well worth it and admirable. I have to give this guitar a 10/10 for its intonation and quality to price point. This guitar should make most acoustic players happy. It is great for the finger picking enthusiasts and hard hitting strummers alike. 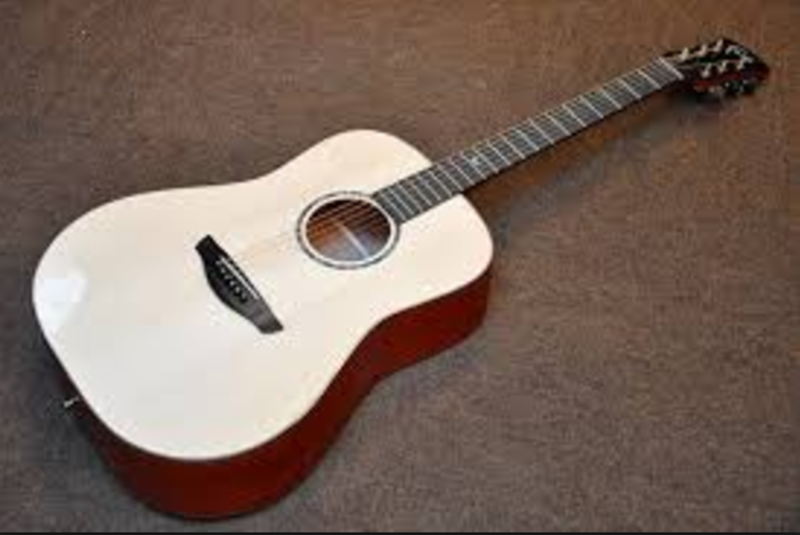 I think this model would be an exceptional guitar for a player moving on from their first acoustic, wanting to take guitar into the next level. As Faith are emerging in guitar shops across the UK more and more, they can be found in numerous large music stores, but this particular one photographed above was found in Badlands Guitars near Preston park, Brighton.